Chelsea’s first three games of the season looked promising. Even the draw against Swansea could be put down to poor officiating but last night, after some early season dizziness, we came back down to earth with less of a bump and more of a crash. Quite where our expectations have come from I’m not sure, this is virtually an unchanged side from the one that limped home mid-table in May. Yet the fallout after last night’s defeat suggests many believe we could, and probably should have done better. Here we had a Liverpool side who’s start to the season has seen them draw with Spurs and totally thump Arsenal and Leicester. A side with a manager who’s had the benefit of time to understand their strengths and weaknesses and more importantly, the time to embed not just new players but to instil the most vital ingredient in any side – team spirit. This then, up against a Chelsea side who’s players ended last season, pretty much the way Kell Brook ended his encounter with Gennady Golovkin. Whilst we replaced the manager, he wasn’t going to start work on the bruised and battered squad he’d inherited the minute our shambles of a season finished and whilst we might all have had a shopping list prepared for him, if he’d only just take the advice dished out on social media, the reality is Chelsea were far from the most attractive proposition on offer this summer. In truth, the damage from last season needs to be undone and we’re lucky we even persuaded a manager like Antonio Conte to give it a go. And yet, with his first defeat in five games – a defeat to the sort of goal you can do nothing about – his management ability is already being called into question. He’s had five games. Five games to get to the bottom of a situation none of us could understand all last season – and yet we watched every game! Is the expectation that he would already have found the answers to why a side can go from title winners to Sunday league level over the course of a summer? And why his predecessor, a manager formerly noted for his ability to instil a winning mentality in his players, looked almost paralysed in the face of defeat after woeful defeat the previous season? If that’s the case, it’s little wonder managers don’t last long at Chelsea with supporters every bit as unrealistic as the board. Antonio Conte hasn’t even had the luxury of taking over a top 4 side in the way many of his predecessors have. He certainly hasn’t taken over a side in the right sort of shape to challenge for a title. What he’s got is a squad with pockets of individual talent amongst some average players and a few more he would have preferred to offload if anyone was buying. He strikes me as an honest, hard working and passionate manager and one we should have a bit of faith in. We might not agree with all of his decisions but then we wont see the squad in the way he does. Whilst we’re as weary as the players we watched fall apart all last season, he’s come in with fresh eyes. He’ll still need time to process what he’s seeing though and he won’t get it right every time. 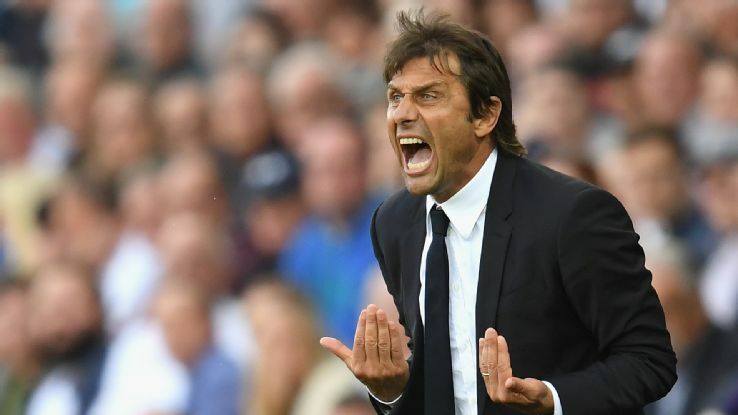 He doesn’t strike me as the sort of manager who’ll hide from his mistakes though, he’ll learn from them and improve, as will Chelsea if we give him time.